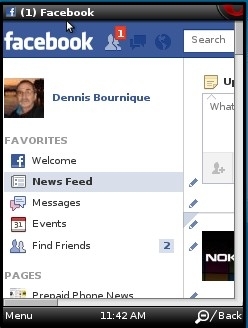 Use facebook.com/home.php or http://www.facebook.com/home.php?m2w to load the full version in Opera Mini and most other mobile browsers. Since 3 weeks ago now, i can’t activate facebook on opramini, and type of my phone is Nokia 6555, pis help me out. “Activate”? Are you trying to create a new Facebook account? If so try using the phone’s browser, Opera Mini tends to have problems with Web forms. how will i download the full version of facebook in opera mini. Go to http://www.facebook.com/home.php?m2wfor the Facebook full version. I use samsung chat mobile can i have this facility on my mobile ?